Copyright © 2013 Mahdi Alshamasin. This is an open access article distributed under the Creative Commons Attribution License, which permits unrestricted use, distribution, and reproduction in any medium, provided the original work is properly cited. Economic single phase motors are required nowadays since a huge amount of power is consumed due to the wide using of these motors in the life fields such as: domestic, agricultural, industrial fields and so on [1-3]. By improving the performance of single-phase motors, farms, petroleum wells, homes and faraway workshops having only a single-phase line do not need to install expensive three-phase lines or resort to expensive inverters or diesel pumps. Also, in many applications, it may be necessary to use a three-phase induction motor on a single-phase supply system. For example, technical and economic advantages have been found to initially install a single wire earth Return (SWER) system for rural electrification in remote and hilly regions . For single-phase capacitor-run induction motor (SPCRIM) and three-phase induction motor (TPIM) operating from single-phase supply (SPS), full-load current may have almost unity power factor which reduces the power company transformers and distribution losses. At balanced motor operation, the efficiency of single-phase motors may exceed 90 percent. Thus, single-phase motor performance can be improved and become competitive to that of three-phase motor on a three-phase line. Using the SPCRIMs is the best choice to compete the three-phase motors; whereas the run capacitor can improve the motor efficiency, the starting torque and the power factor. Also, using of additional reactive elements leads to robust motor balancing to ensure the excellent performance of the motor . As a matter of fact, SPCRIM and TPIM fed from SPS suffer from heating due to the elliptical field caused by asymmetry of phase loads . 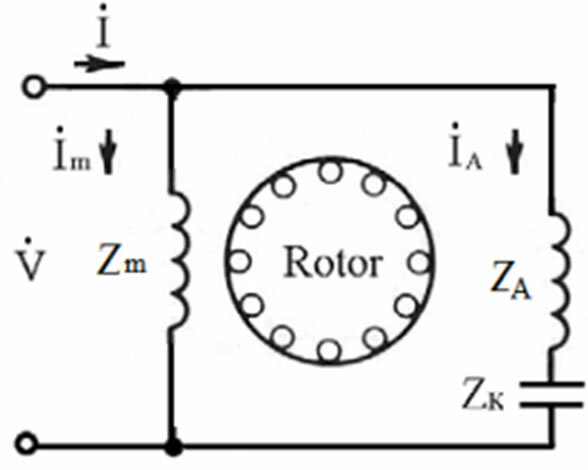 The non-uniform operation of stator phases of these motors is negatively reflected on the winding temperature, the power factor and the efficiency of the motor [7,8]. Therefore, the elimination of the asymmetric action is of a great theoretical and practical significance. 1) Using one value phase-shifting capacitor and regulating the frequency of the power supply. 2) Inserting of external reactive impedance into the circuit of the SPCRIM or TPIM fed from SPS. This is the most suitable method to provide the required values of phase currents and appropriate angles between them (rigorous symmetry). 3) Switching a number of stator winding turns and regulating the value of phase-shifting capacitance [13,14], which is regarded as the most economical method from the point of view of electrical energy utilization and motor heating. This paper develops a mathematical model to balance the motor operation by varying the frequency of supply voltage and investigating the characteristics of the balancing parameters. 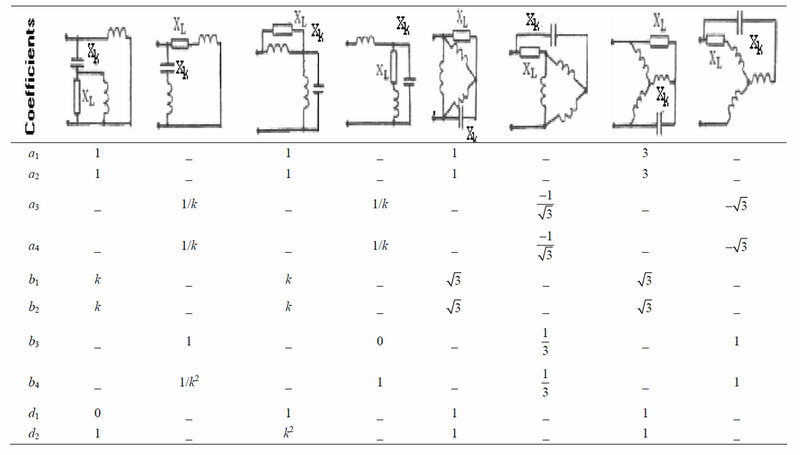 Also, the paper presents advanced review for the used methods of balancing, comparison among them through behavior investigation and limitations of each method for the most used connection diagrams of induction motors fed from single-phase supply in practical applications. Circuit diagram of SPCRIM with two windings connected in parallel is shown in Figure 1. Utilizing the symmetrical components methods, the unbalanced motor variables can be decomposed into positive (forward) sequence and negative (backward) sequence components [16,17]. 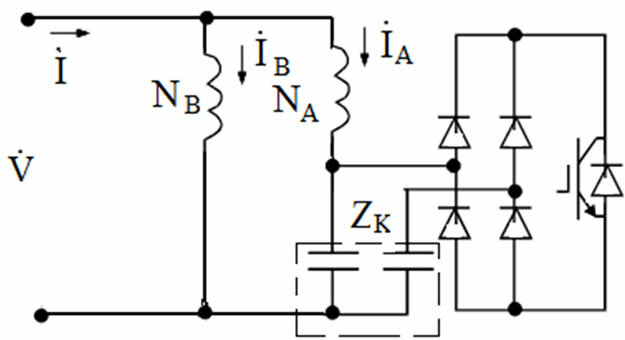 Figure 2 shows the equivalent circuit of these components . Figure 1. Circuit diagram of SPCRM with two windings connected in parallel. Figure 2. Per-phase equivalent circuit; (a) Positive sequence, (b) Negative sequence. The circuit diagram of TPIM connected in delta and operating from SPS is shown in Figure 3. Using the same procedures of analysis, balancing coefficientsfor the least circuit diagrams of SPCRIM and TPIM fed from SPS can be derived. Balancing coefficients are found to be as in Table 1. Figure 3. Circuit diagram of three-phase Δ -connected motor fed from single-phase supply. Table 1. Balancing coefficients for the common used connection circuits. 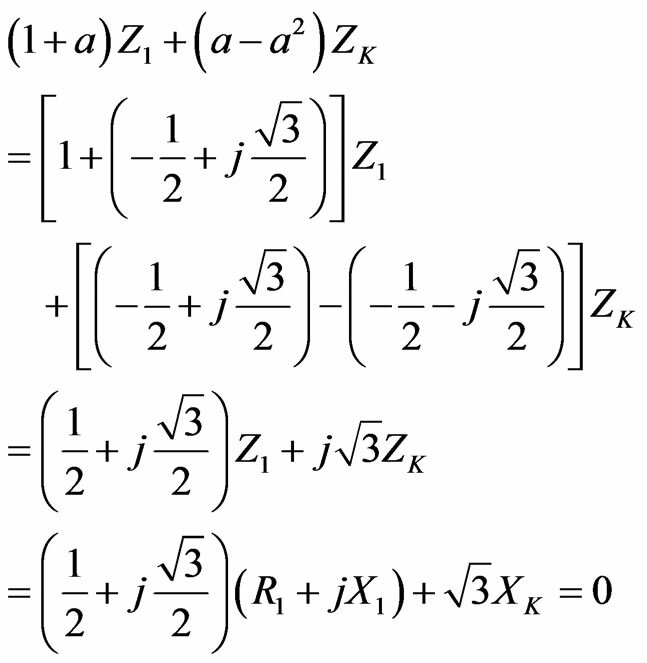 where, the coefficients of equations (26) and (27) can be obtained from Table 2. In this method, the frequency is constant and frequently is equal to the nominal frequency whereas the capacitance is varying to satisfy the balance operation when the load is changing. The balancing capacitor value can be controlled electronically [4,23]. For the SPCRIM with two windings connected in parallel where the capacitor value is varying in respect with the load as in Figure 4, the balancing capacitance value can be calculated from the equations (5) and (6) by equating the absolute values of and as [10,24]. 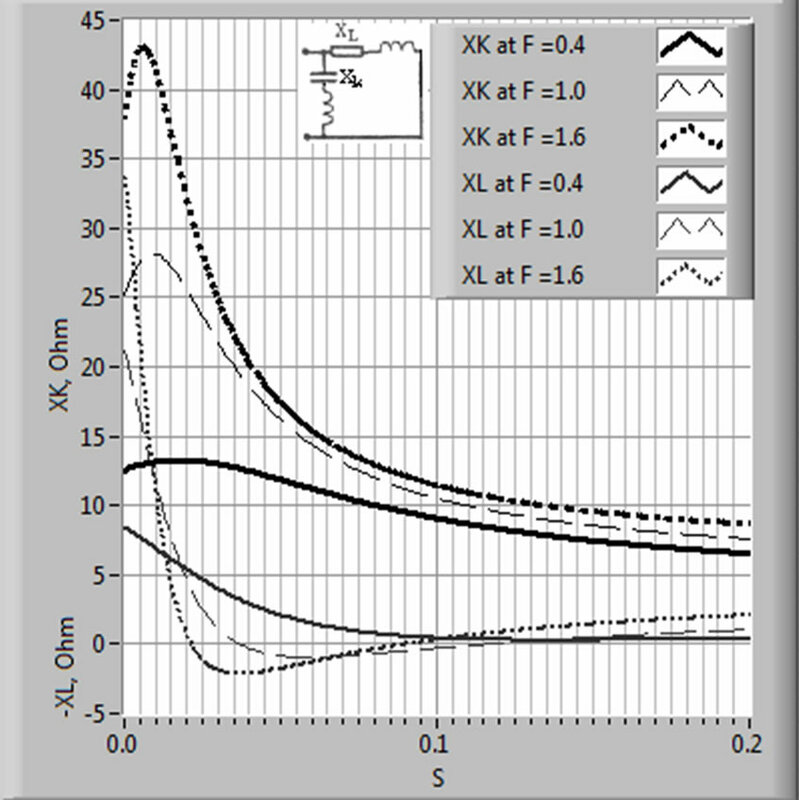 Figures 5-8 show the obtained curves for the most used connection diagrams. It can be seen from these figures that Ssym is inversely proportional to the frequency, where its value at low frequencies approaches 1. This means that the motor can be started with a balanced status and this is considered a very important aspect in the intermittent periodically duty motors. However, at steady-state operation, the low frequency could cause a great loss in energy because of the high value of balancing slip, and this should be avoided. 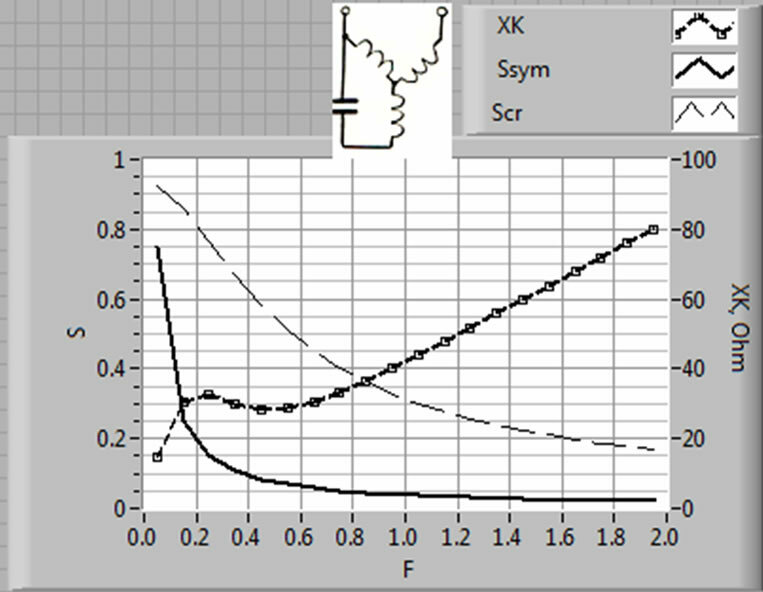 The doted curves give the variations of critical slip versus frequency. It should be noted that as long as Scr > Ssym, the motor will be stable and the stability will depend on the difference between Scr and Ssym where the greater the difference the more stable the motor. Therefore, the steady-state region is defined when f > 0.2 fn. The impedance characteristics of the balancing elements are also built by using a labVIEW software. Figure 4. Single-phase induction motor with two windings connected in parallel and electronically controlled capacitor. Figure 5. Balance of SPCRIM with two windings connected in parallel. Table 2. Coefficients of balancing equations for common types of circuit diagrams. Figure 6. Balance of SPCRIM with two windings connected in series. Figure 7. Balance of Δ—connected three-phase induction motor fed from single-phase supply. Figure 8. Balance of Ү—connected TPIM three-phase induction motor fed from single-phase supply. frequencies of the supply voltages. 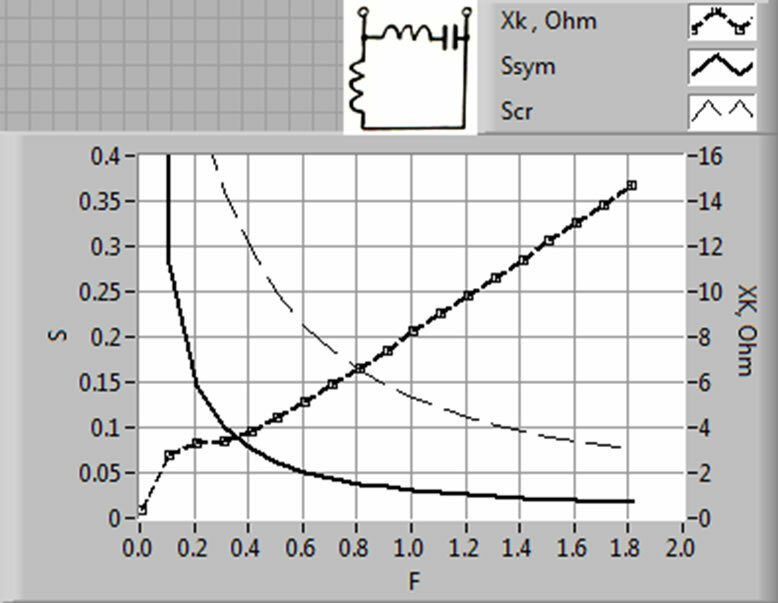 The balancing capacitive reactance XK is high at no-load condition and decreases with increasing the load in the same way for all the frequencies of the supply voltages. Figure 9. Impedance characteristics; (a) auxiliary winding is shunting by inductive element, (b) Inductive element is inserted in series with the main winding. by regulating the capacitance value only, in other words, both balancing elements should be capacitors. The same inductive and capacitive behaviors are occurred for the least of connection diagrams, listed in the table 2, based on the group of equations (26) and (27). The balancing capacitance characteristic was built using equation (28) also for the motor of power Pn = 2.8 kw as shown in Figure 10. Figure 10. 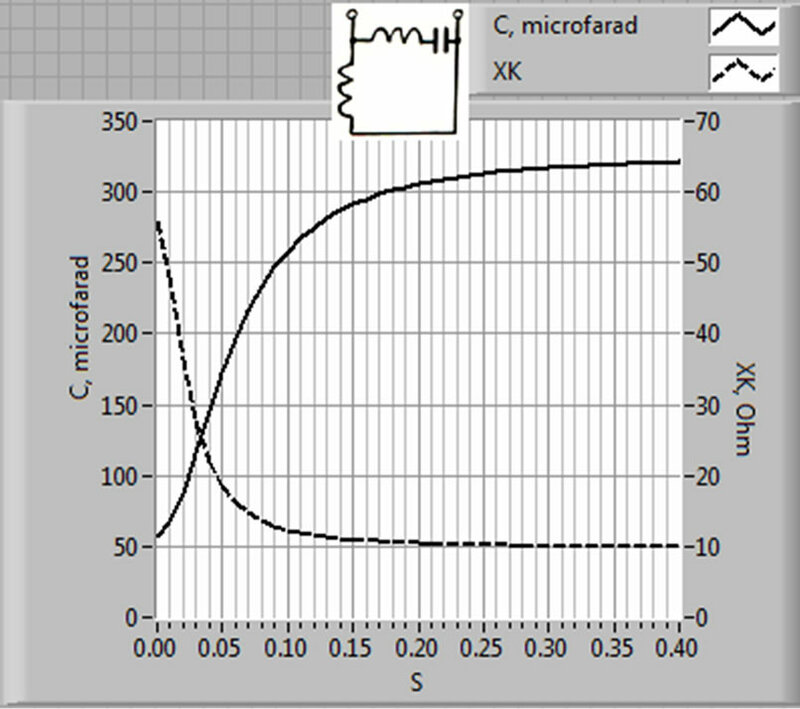 Balancing capacitance of single-phase capacitorrum induction motor versus slip. ancing capacitance for the start condition is much larger than for the run condition. Although increasing the capacitance over the nominal value helps in balancing but it is accompanied by increasing the currents especially in the auxiliary winding .Therefore, this method is promising for the variations of load around the nominal value if the motor duty is continuous. The study discusses the various methods to improve the performance of SPCRIMs and TPIMs operating from SPS. Single-phase induction motor is widely used in engineering practice and spends a lot of electricity each year. The promotion of induction motor’s efficiency has great significance for energy consumption, so the optimization design of single-phase induction motor is necessary. The mathematical model seems to be well. The mathematical model is used to balance the motor operation by varying the frequency of supply voltage and investigating the characteristics of the balancing parameters. The proper selection of reactive element will improve the single-phase induction motor performance to compete the three-phase motor. 1) Wide range of speed control. 2) Soft speed control and improvement of starting characteristics. 3) This method can be used for various power rating motors with any stator circuit connection. 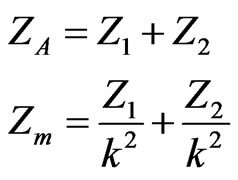 4) Steady state motor operation at low frequencies (F < 0.2) is forbidden due to the small maximum to the nominal torque ratio. 5) Expressions of balancing frequency, slip and capacitive reactance are awkward and have high orders. 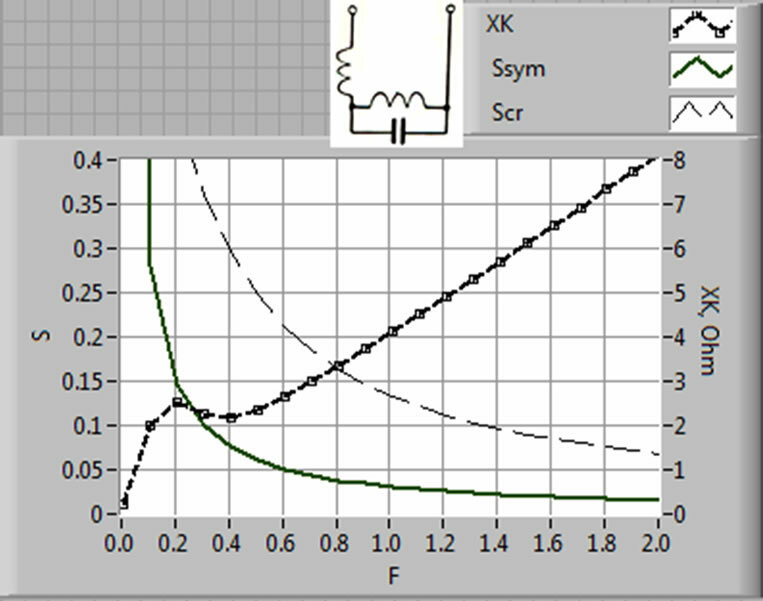 Balancing by varying capacitance value of the condenser at constant frequency is the most economic especially if it is realized by electronic way but this method is not fair as the slip goes far from the nominal value. For having robust balancing, in addition to the shifting phase capacitor, reactive element should be inserted into the stator circuit. This method will reduce the heat generated in the motor during the steady state operation mode for the full range of speed control. Thus, the benefits of this method include improved power factor, energy saving and elimination of the need for additional winding taps for speed variation. According to the generalized calculation equations for balancing element impedance, the connection balancing diagrams could be grouped into two groups. 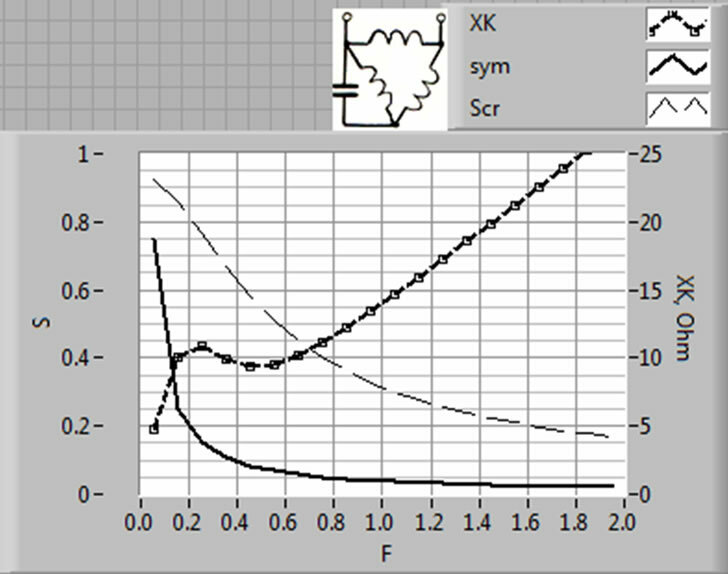 For the first group of connection diagrams, the behavior of the balancing element is inductive over the whole slip regardless of the value of the voltage frequency. 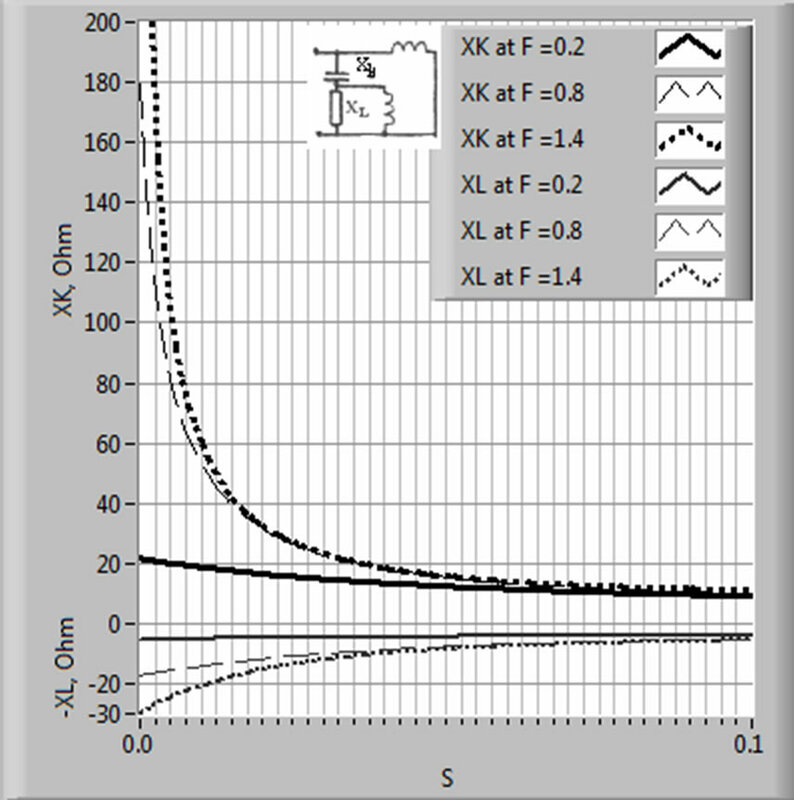 While for the second group of connection diagrams, the behavior of the balancing impedance XL will become capacitive depending on the load and the voltage frequency. This work has been carried out during sabbatical leave granted to the author Mahdi Alshamasin from Al-Balqa’ Applied University (BAU)-Jordan during the academic year 2012/2013. I’d like to thank Al-Balqa’ Applied University for their support and Najran University-KSA for their logistic aid. Rs, Xs: resistance and leakage reactance of the stator winding. , : resistance and leakage reactance of the rotor referred to the stator. Rm, Xm: magnetizing resistance and magnetizing reactance. XK: reactance of the capacitive element. Nm, NA: turns numbers of the main and the auxiliary windings. : forward, backward sequence currents. R1, X1: resistance and reactance of the forward sequence. R2, X2: resistance and reactance of the backward sequence. S: the slip of the motor. F,f: per-unit and stator frequency of the motor. : forward, backward sequence voltage.